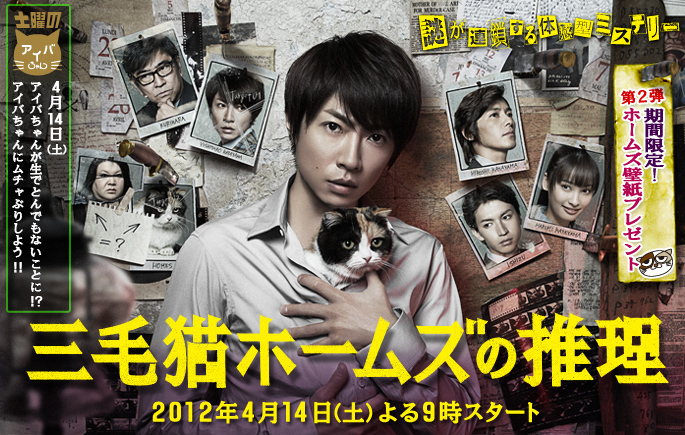 MJ May 02 2012 11:49 pm I get a kick out the Calico cat named Holmes who becomes a human form played by Actor Matsuko Deluxe. Reminds me of TOYOTA’s new Doraemon CM series series of TOYOTA’s campaign ‘ReBORN‘ which is not animated. A french actor, Jean Reno, plays Doraemon (the cat that aids a schoolboy, Nobita Nobi). And, Tsumabuki Satoshi plays Nobita.